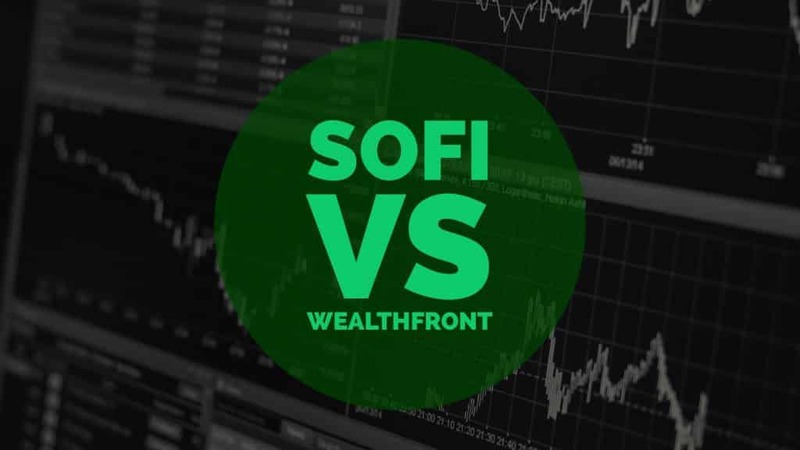 Home › Investing › SoFi Wealth Management vs. Wealthfront: Which Robo-Advisor Is Better? SoFi Wealth Management vs. Wealthfront: Which Robo-Advisor Is Better? Along with Betterment and Personal Capital, Wealthfront is one of the early, pioneering robo-advisor firms. It was founded in 2008 by Andy Rachleff and Dan Carroll, and like its rivals, has grown fast and acquired billions of dollars of managed assets by offering a compelling value proposition to clients: low fees, automated portfolio management and free tax-loss harvesting services. Wealthfront, Betterment and Personal Capital raced so far ahead of many robo-advisor rivals that they may not have paid a great deal of attention to the financial company that could well become their biggest threat over time, SoFi. At first glance, it is hard to spot how SoFi, a company that began by refinancing student loans, could pose a serious threat to established robo-advisors who began years earlier. But SoFi has established a fervently loyal community of borrowers, who become customers early in their careers before they have acquired wealth. The danger for Wealthfront and its major rivals is that SoFi will convert customers from borrowers to wealth management clients as they grow in their careers and squirrel away more savings. By winning customers’ mindshare when struggling financially before they even search for wealth management solutions, SoFi can win over clients who might otherwise consider Wealthfront later in their careers, long before the established robo-advisors even get a chance to pitch them. SoFi makes this transition from borrower to wealth management client easy by charging no management fees period. For most financial institutions competing for these customers, the playing field might be level, but SoFi has established a community of members so loyal that it is virtually unmatched in the financial industry; SoFi’s one-of-a-kind community is an intangible asset that will make it even more difficult for Wealthfront to win these customers over as time go by. But for now, which offers you the better investing service: SoFi Wealth Management or Wealthfront? Which Robo-Advisor Is Best For You: SoFi or Wealthfront? Wealthfront co-founder, Andy Rachleff, and his team have stayed true to their vision of providing a fully automated portfolio management service with low fees and low account minimums so that it is accessible to almost anyone. As one of the early robo-advisor innovators, Wealthfront has accumulated billions in assets under management, far ahead of SoFi, who launched its wealth management platform years after the early robo-advisor industry pioneers. With greater longevity in the industry, Wealthfront has had the time to build its reputation as an automated investing services provider that specializes in tax-loss harvesting via its “Direct Indexing” technique. SoFi is the new kid on the block in the robo-advisor industry but that hasn’t stopped it from rolling out a highly competitive, customer-first wealth management platform that beats the fee schedules of industry leaders, and includes perks galore. For investors looking for a little more hand-holding, and a personalized investing service, SoFi includes access to human financial advisors. Wealthfront pioneered the model of low advisory fees but SoFi beats Wealthfront on fees and included access to live advisors at no extra cost. For 0.25%, Wealthfront delivers a purely automated portfolio management solution while SoFi also includes access to live advisors. Wealthfront and SoFi stand toe-to-toe on fee charges up to a point. Both offer free portfolio management to clients up to the first $10,000. But Wealthfront charges a management fee of 0.25% of assets managed thereafter whereas SoFi remains free. Wealthfront stands apart from SoFi in delivering a tax-loss harvesting service as part of its product, a feature SoFi does not yet offer. Wealthfront describes this service as tax-optimized Direct Investing. It is a way to replace stocks that feature in a diversified portfolio as part of an enhanced form of tax-loss harvesting that reduces investment costs. The way it works is that instead of using a single ETF or Index Fund to invest in US stocks, Wealthfront purchases up to 1,001 individual stocks as part of its Tax-Optimized Direct Indexing service. This process allows you to take better advantage of tax saving opportunities on account of the movement of individual stocks to improve performance. Wealthfront claims its daily tax-loss harvesting service can boost annual returns by as much as 2.03%. Where Wealthfront shines with respect to tax-loss harvesting, SoFi stands out with respect to live advisors. The SoFi wealth management service is powered by technology and guided by human experts. It includes access to live advisors who offer personalized advice, automatic rebalancing, goal planning, and investing in diversified index funds. For investors looking for a personal touch, SoFi’s wealth management platform beats from the purely automated service at Wealthfront. Which Roboadvisor Is Best? For lower fees, SoFi comes out on top for a managed portfolio service, and it offers extra service with human advisors. But Wealthfront wins for tax-advantaged investing. Wealthfront imposes an account balance minimum of $500 on new clients while SoFi keeps its minimum to just $100. Just as SoFi and Wealthfront are virtually indistinguishable when it comes to fees charged, so too is it hard to separate them on account balance minimums but there is a winner. Wealthfront requires clients to deposit $500 to get started while SoFi only mandates $100. Compared to some other robo-advisors, these minimums are very low. Personal Capital, for example, requires investors to pony up at least $100,000 to get started. Betterment has no minimum for its basic service but if you want access to human advice you’ll also need to come up with a minimum of $100,000. Who is Better on Account Balance Minimums? SoFi wins with a lower investment minimum of just $100 compared to $500 at Wealthfront. SoFi’s wealth management service is technology-powered and also includes access to live advisors for clients who want financial advice from certified trained experts. Wealthfront does not include live advisors in its platform offering, but it does offer a service, called Path, which allows clients to query the impact of financial decisions on future retirement savings and lifestyle quality. Wealthfront and SoFi diverge when it comes to human advice. While some investors will be completely satisfied with a purely automated approach, others will want the comfort of knowing a professionally trained financial advisor is contactable, especially when markets are volatile or financial concerns crop up. SoFi offers the hybrid robo-advisor service that clients seeking a little more hand-holding will want. Live advisors are accessible to clients and importantly, they are not commission-based, so they are not incentivized to sell you on products. While the human component at SoFi sets it apart, Wealthfront is aware that clients have queries and doesn’t leave them hanging. As opposed to scheduling phone calls and meetings with advisors, Wealthfront offers a product called Path. Path is a service that directly links to client accounts, analyzes spending data, provides updates, and answers the “what if” financial scenarios so clients can visualize how changes today may impact wealth in the future. Questions like “if I save more today, how will it impact my projected retirement saving?” or “when I retire, can I live the same lifestyle as today?” or “what should I do with extra savings?” are all answerable in Path. Plus, Path is downloadable on your phone to both iPhone and Android devices, so you can visualize your financial situation on-the-go. Who Provides The Better Hybrid Robo Service? SoFi claims its technology-powered service is “not a robot” and includes a human dimension. SoFi delivers on its claim by connecting clients to live advisors. Wealthfront has a service, called Path, which answers questions clients may have but SoFi wins this category by connecting clients to live financial advisors. Wealthfront stands aparts as a leader in the robo-advisor industry by catering to a broad range of account types, such as taxable accounts for individuals and married couples, as well as most IRA account types and 529 Plans, which few robo-advisors support. SoFi caters mostly to individuals with taxable and IRA accounts. Wealthfront doesn’t just beat SoFi on the range of account types it supports, it virtually beats the entire industry. Many other robo-advisors, such as Schwab Intelligent Portfolios and Personal Capital, offer a broad range of account types too but few cater to 529 Plans. The SoFi wealth management platform is still young compared to more mature robo-advisor platforms and offers fewer account types. SoFi currently supports individual non-retirement accounts as well as Roth IRA, traditional IRA, and SEP IRA accounts but does not support 529 Plans, Rollover IRAs, joint non-retirement accounts, Trusts or 401(k) plans. Who is Better on Account Types? Wealthfront wins hands down thanks to the extensive range of account types supported, including standard taxable accounts for individuals and married couples, as well as IRA and Trust accounts, plus 529 Plans. Comparatively fewer options are offered by SoFi: individual non-retirement accounts and a limited number of IRA accounts. Wealthfront is an industry leader in providing tax-loss harvesting services to all clients at no extra charge, and providing a more sophisticated form of tax-loss harvesting, called Direct Indexing, to clients with account balances over $100,000. Tax-efficient portfolios are not yet offered on the SoFi wealth management platform. Tax efficient investing is a core focus for Wealthfront, and it provides clients tax-advantaged portfolios through daily tax-loss harvesting and Direct Indexing. Tax-loss harvesting is a technique that seeks to lower your taxes while maintaining expected returns for your risk profile. Wealthfront claims that enhanced tax-loss harvesting via Direct Indexing could improve annual investment performance by as much as 2.03%. This tax-optimized investing process is an advancement on index investing, and involves directly purchasing as many as 1,001 individual securities on your behalf. Because of the higher number of stocks, more tax-loss harvesting opportunities exist than would otherwise be possible if an index fund were used. Although tax-loss harvesting is a free service at Wealthfront to all clients, Direct Indexing is only available to clients with account balances of $100,000 and higher. As part of its core wealth management offering, SoFi provides free account rebalancing but tax-loss harvesting is not yet offered to clients. Who is Better on Tax-Loss Harvesting? Wealthfront takes tax-loss harvesting a step further than most through a process it calls Direct Indexing, which allows for more opportunities to harvest tax-losses by purchasing up to 1,001 individual securities. Although only available on account balances over $100,000, Wealthfront does provide basic tax-loss harvesting services to all clients, and wins this category given that SoFi has yet to provide an equivalent tax-optimized offering. Clients who are keen to invest money in automated tax-optimized portfolios should choose Wealthfront while individuals who care more about having access to live advisors should look to SoFi. On many other dimensions from fees to account balance minimums to portfolio rebalancing, it’s virtually a tie between both robo-advisors. ✅ Portfolio Management Fees: No management fees can’t be beaten! SoFi charges no fees whereas Wealthfront fees kick in above the first $10,000 managed. ✅ Selection of Account Types: Wealthfront supports a wide variety of taxable and retirement account types, including individual and joint non-retirement accounts, Roth IRA, traditional IRA, SEP IRA and Rollover IRA accounts, as well as Trusts and 529 Plans. SoFi only offers individual taxable accounts and a reduced selection of IRA account types. ✅ Account Balance Minimums: SoFi imposes an investment minimum of just $100 compared to $500 required by Wealthfront. ✅ Tax Loss Harvesting: Wealthfront beats not only SoFi but most of the industry in tax-loss harvesting. Wealthfront’s Direct Indexing service. However, it is available only to clients with account balances above $100,000. Its core tax-loss harvesting service is available to all clients. ✅ Loan Discounts: If you’re thinking of getting a loan, SoFi will offer an exclusive discount your rate as a wealth management client. ✅ Path: If a robo-service is all you need, Wealthfront suffices and its Path tool answers many queries clients have about how current spending affects future wealth. ✅ Human Advisors: Clients looking for something more than a purely automated investing solution are left with SoFi only. Wealthfront does not connect clients to human financial advisors as SoFi does. ✅ Longevity: Wealthfront has history on its side. It started nearly a decade before SoFi and has more bells and whistles on offer to clients under its investment management umbrella. However, SoFi has perks galore: offline meet-ups, access to an exclusive community, and a customer-first investing experience. The choice between SoFi and Wealthfront boils down to how price-sensitive you are and whether you care most about having a tax-optimized portfolio or having the option to connect with human financial advisors. Wealthfront is the better choice for investors who care about optimizing their portfolios for taxes while SoFi will connect clients to live advisors and charges no management fees whatsoever. SoFi also wins with a lower investment minimum and hidden perks like exclusive access to its community, offline meet-up perks (think dinners, networking events, tickets to ball games), and even exclusive discounts on loans.